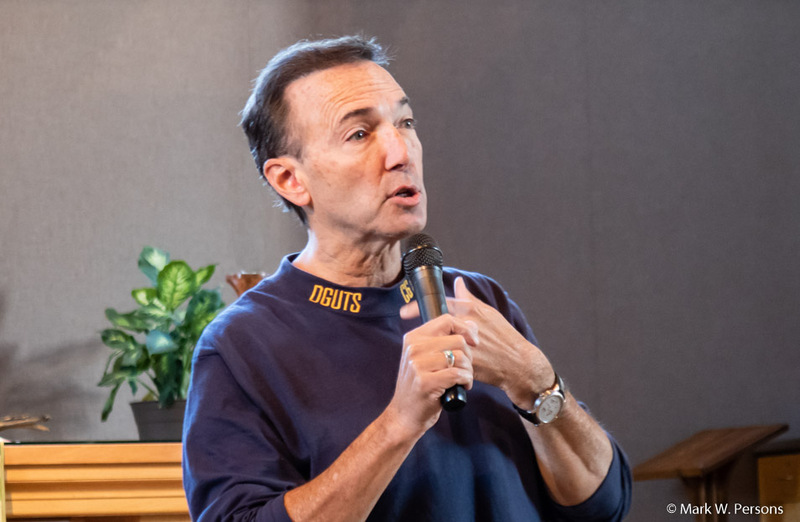 Saturday, September 22, 2018: Meteorologist Paul Douglas gave a talk at the Lord of Life Church in Baxter, MN. 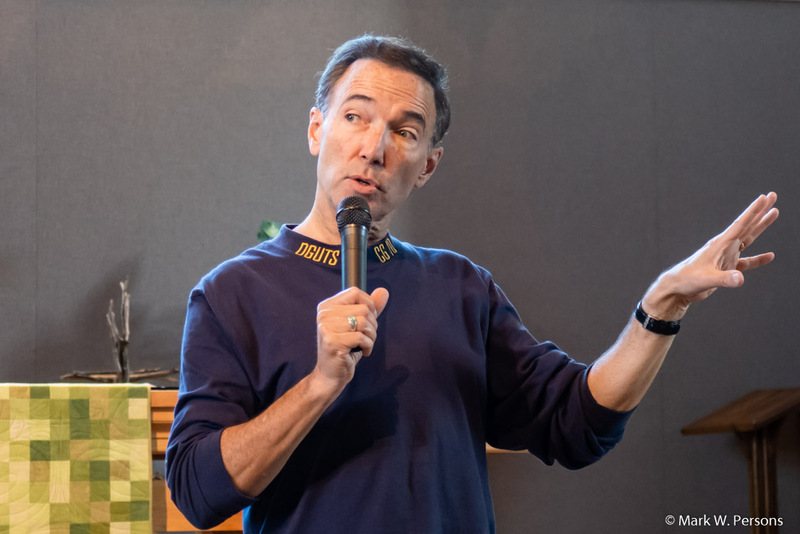 He is probably best known for weather forecasting on WCCO Radio and Television in the Twin Cities. Paul said he started to notice subtle changes in weather over the past ten years or so. He can't say for sure, but he feels it is due to global warming. Blaming U.S. corporations for polluting is not the answer. They wouldn't be in business if people didn't ask for the products they produce. We are all accountable for our actions, he said. We should all work to make a "lighter footprint" on the ecology of our world. Energy Star appliances, electric cars and solar shingles that produce electricity are just some of the products to help the environment. If you are wondering about the DGUTS on his shirt, from his son in the U.S. Navy. It means, "Don't Give Up The Ship." Paul went on to explain that many Americans take freedom for granted. Freedom is not free, it was paid for by the lives many in our country's history. Paul received a standing ovation from the more than 100 attending the event. 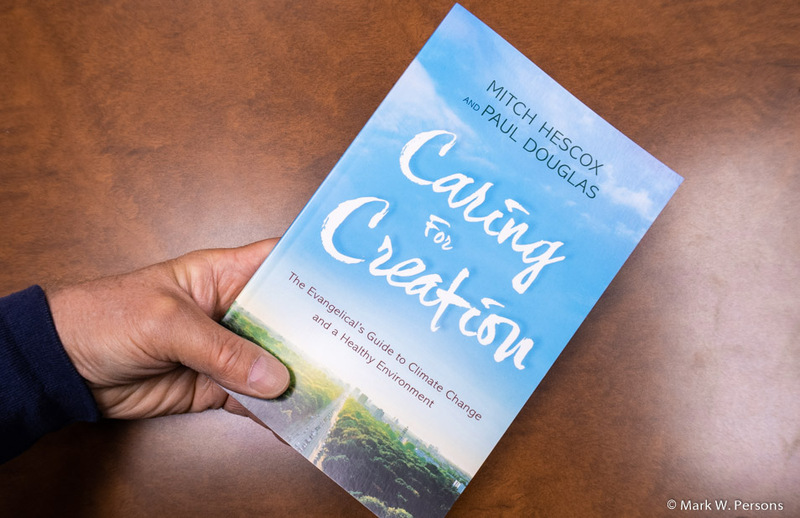 Paul's book is Caring for Creation.